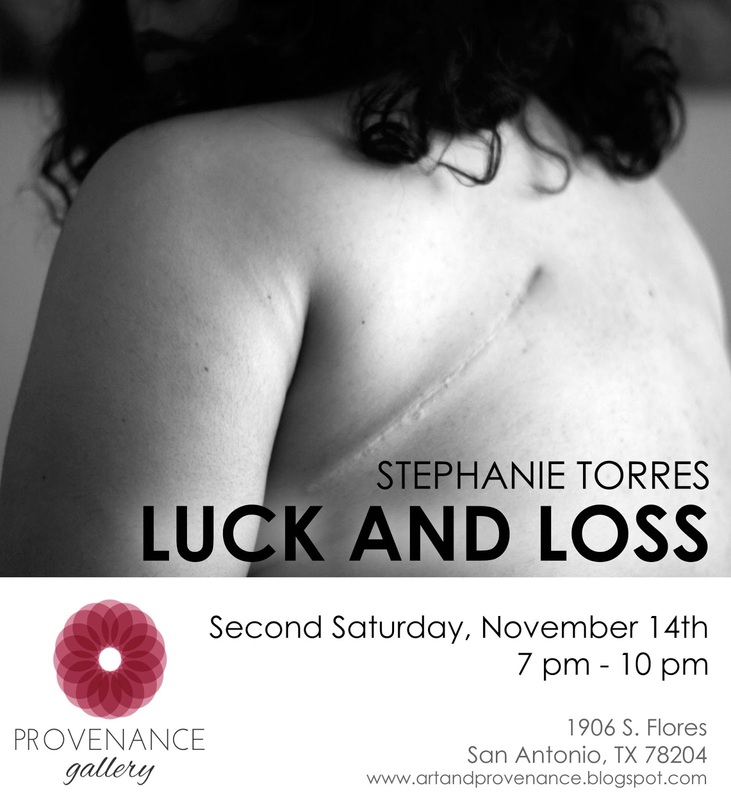 Join us on Second Saturday, November 14th for the Opening Reception of Luck and Loss, an exhibition featuring the work of Stephanie Torres, a San Antonio-based artist and the director of Provenance Gallery. "There is beauty, strength, and life in these scars. They represent not just what was taken, but also what was left behind. I live my life in the moments between cancer recovery and possible recurrence. This work expresses those feelings of intense trepidation about the future, at odds with an eagerness to live life fully in the present." Exhibition will be on view through December 1st, by appointment.